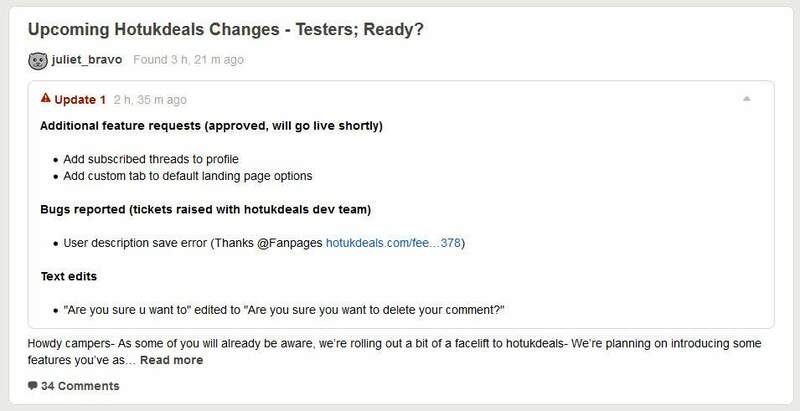 Upcoming Hotukdeals Changes - Testers; Ready? As some of you will already be aware, we’re rolling out a bit of a facelift to hotukdeals- We’re planning on introducing some features you’ve asked for (and that I really think you’ll like) plus we're bringing back some old favourites. You might see an option to switch and try out the new front end in the next few days so just give it a whirl and see what you think. I really appreciate your feedback on these changes, both positive and negative - so get testing, let me know if you come across any issues (this is a bit of a work in progress) and we’ll get the ball rolling on fixing / improving those. Those of you with edit permissions will now be able to add information to an opening post - this means your edit and info will show as an actual addition to the OP, rather than a plain text edit. So if you spot something additional that you think will boost another user’s post, go for it and add the info. There are lots of other little additions you'll find and hopefully like, I'll keep you posted on when things are ready to roll out. Again, we've tested these features across our sister sites already- they've been using the Pepper platform for a long while now so we *should*, at least in theory, have a user-focused pack of features by this point. This whole update has been built around deal community feedback here and across our sister sites and has been constantly updated / tweaked / changed over the past couple of years, both on our new platforms and on our larger, established sites. Being able to switch hotukdeals to the same model means we can work faster as a company at getting updates and fixes live- this has been a huge issue for hotukdeals over the past couple of years. 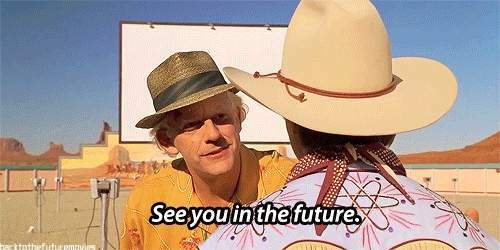 That said, we are still working on making sure the platform works for *you* so I really look forward to hearing your feedback. Hope you enjoy playing around with your new toys! I don't think I'm the only one to notice yet another layout change. Fantastic, It's going to take another week or so for me to get used to this layout. Oh wait, new layout inbound. Don't want this to become a weekly change. Can we just stick to one layout, please. User search is now integrated into the main search box. If you put an @ in-front it will only search for usernames - otherwise it will mix it in with other found content. 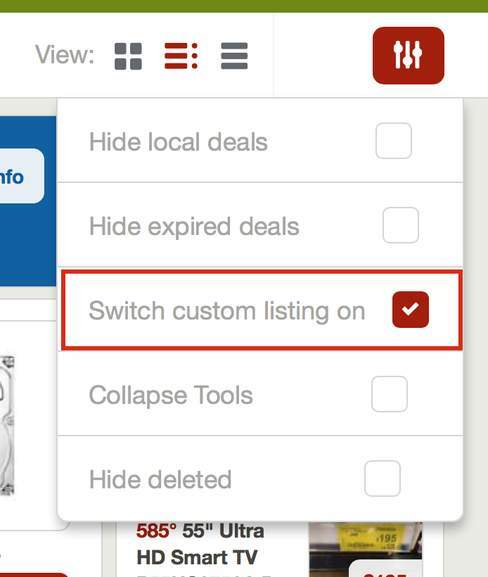 1) We added the ability to change your hottest deals widget from side to top carousel. 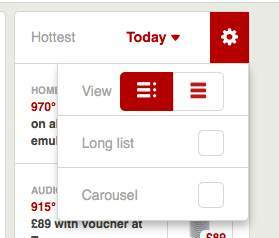 Click on the gear icon and select 'carousel'. We're working on making the infinite scrolling an account setting - so you'll be able to switch it off for your account. I'll let you know once it's there. Why can't you just leave the old site running as it is? I hate the spacing. It's too big! Is this final? No going back? We won't be continuing to support the old version of the website, however this whole process will continue for several months until things feel right for the majority of our users. This is not a hard switch and not a case of "tough **** if you don't like it", this is a project that everyone can get involved in. Since starting testing back in May (both public and with closed groups) we've added dozens of requested features, reintroduced previously retired options and designed brand new additions from the ground up. 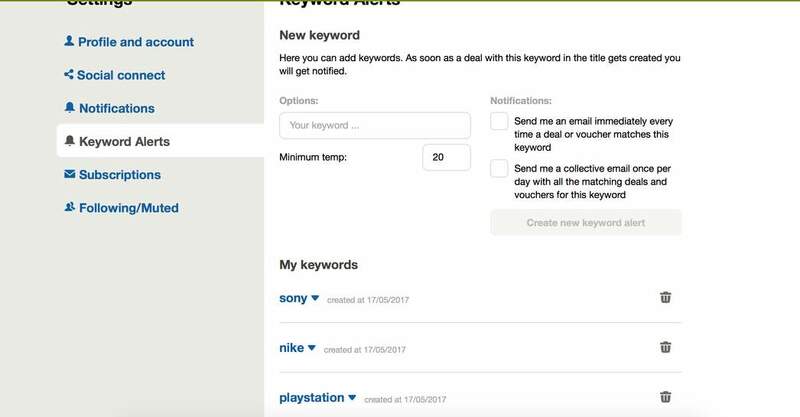 The eventual product will be something you can personalise and adjust to fit your browsing habits and topic preferences entirely. Why don't you listen to your members? These changes are definitely not ideal for some members; usually when we roll out any update on hotukdeals some users will complain or threaten to quit. We're definitely open to taking on board all feedback, we'll be honest and realistic about what we can and can't do to solve those complaints and while we appreciate that changes will always create negative comments, this is a necessary step for hotukdeals and part of the natural life of any website or community. I get email notifications for new comments on subscribed threads but I don’t want those. How can I unsubscribe? 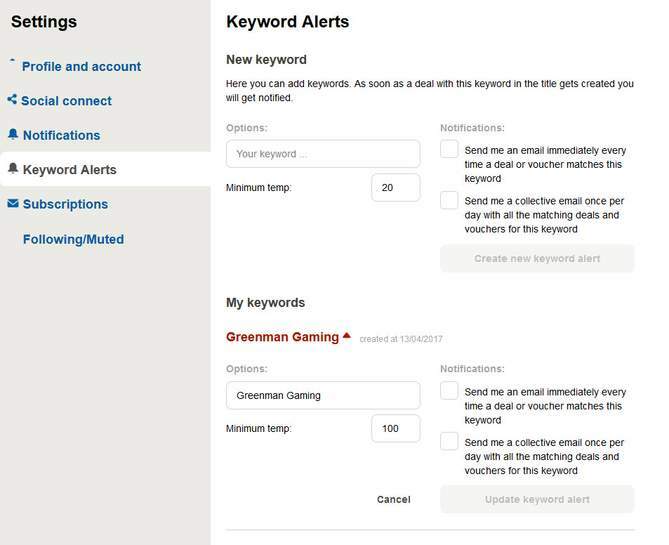 You'll still get alerts for your subscriptions. Saved threads: OR you can save a thread to review later. Saving a thread doesn't switch on an alert for that thread. If you decide you're not interested in being subscribed to a certain thread anymore, you just unsubscribe from your email alert. What happened to my roundup digest email? We decided to remove the comment numbers and instead add the permalink. The permalink always works out on which site a comment sits currently and it will work no matter which order you have for viewing comments (descending vs ascending). This cannot work with static comment numbers. Please comment below with the following info: What browser are you using? What operating system? On which page did you find the bug and what were you doing when you spotted it? If possible, please provide a screen cap. I'd like to request a new feature. Have a look in the opening post to see if your feature request is already listed. If not, leave a comment below stating why you think it'd be beneficial and we'll see what we can do! Competitions were by far the most complained about part of hotukdeals prior to this update. 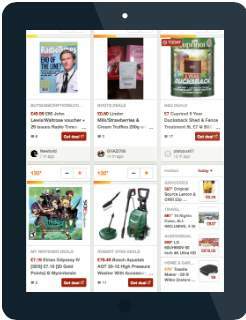 While it's frustrating to comp users, hotukdeals is a deals website, and users need to be able to use it for deals without feeling they're being spammed. That said, we haven't closed the comp forum - you can still access it via the main menu - we've also added in a tool so you can mark competitions as entered, and once advanced search is live again you'll be able to filter competitions further. We won't be adding any more features to this section at present as we need to focus on the most-used parts of hotukdeals. 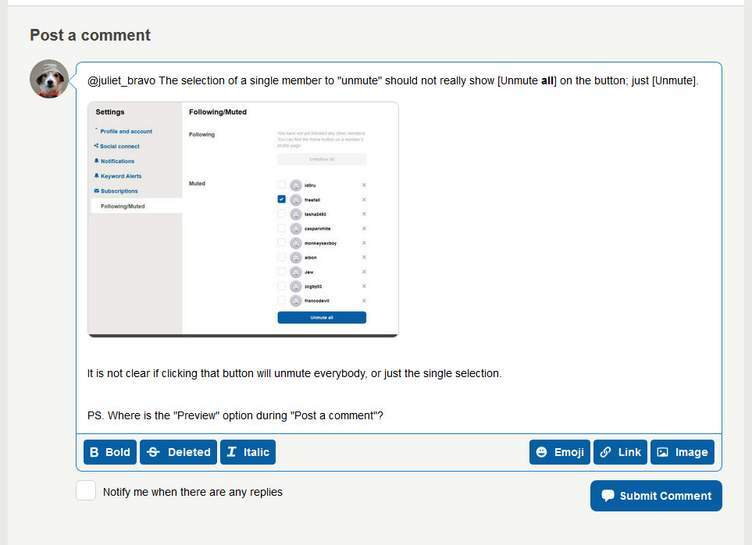 You can now pick "CUSTOM" as your default landing page - you can find this option in your profile settings under "Profile and Account"
"Are you sure u want to" edited to "Are you sure you want to delete your comment?" So there trying to bribe people to come back with the flamedeer ?!?! That means they have very seriously lost a lot of active members, which means the amount of deals, votes, posts and and general site through-port has fallen through the floor (I've noticed it and I am sure ever other very active member has also). Now they are hoping one of their most popular events (Christmas Flamedeer, in August and call it Aloha Flamedeer?!?) gets lost people back... What you seem to miss is the majority of people HATE the new layout, and flamedeer just causes people to browse the site more... Oxymoron? I am sure this post will be deleted because it doesn't fit the 'company' line. This isn't a community deals site anymore, its a lean, green, money making machine, and your not allowed to say anything to upset the powers who be. Personally, I'll tell you what will get me back and active again... remove this poor excuse for a site change, it just doesn't work, and the amount of negative vs positive feedback shows this. How many posts have you deleted now with negative comments? Agree with the majority. The new site is pretty much trash. Sorry guys but it is awful. The old layout was far better. I agree with everyone, bring back the old site. "SO. MANY. of you hated the fact that “all” would show competitions and ask threads." Now if i truely want to see ALL the threads i have to have 3 different windows open for the website.. This seems like a backwards step to me.. Afterall the ALL option in no longer all..
you have the menu bar at the top hide when you scroll down isnt this suppose to show all the time? Wheres Custom i can't see it on the new layout?.. Forget this one i've seen above how to do it! think that'll do for my problem. Don't suppose it would be possible to have an option of setting the default landing page to go to this custom tab if it's set up? But I also can't seem to work out how to get to a list of the threads i've subscribed to? @winifer Yep subbed threads will roll into the "Saved" tab in your profile - should be live shortly! Initial impression (on a PC) is that each posting takes up too much space. The heat indicator (really necessary?) and heat buttons using space at the top instead of at the side of the post seem to be responsible for this. This also makes the uneven and aesthetically less pleasing than the old layout. I'd also like the option to have all in the 'All' tab. @SuffolkLad222 Thanks for your feedback! Aesthetically speaking, we want to give the new version chance to "bed-in" but we'll definitely take note of your thoughts. Loving the tile display on tablet! Thanks! Does the "notify me when there are any replies" check box mean that I will only be notified when replies to my comment are made if I check that box? If so, that will become tiresome very quickly. Also, where can I find the feedback section? Edit: Nevermind. Found it buried at the bottom of the page. Does the "notify me when there are any replies" check box mean that I … Does the "notify me when there are any replies" check box mean that I will only be notified when replies to my comment are made if I check that box?If so, that will become tiresome very quickly. Since switching all of my comments are going for review before being published. Is this to become standard when the switch goes live? Since switching all of my comments are going for review before being …Since switching all of my comments are going for review before being published. Is this to become standard when the switch goes live? No, will take a look at that for you! 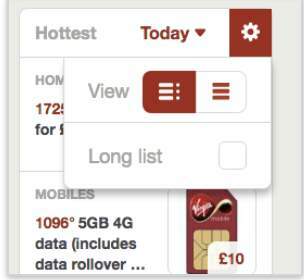 When viewing Deals in 'text view', it doesn't state when a deal is expired, the title is greyed. I can't view Misc or Feedback in 'text view'. 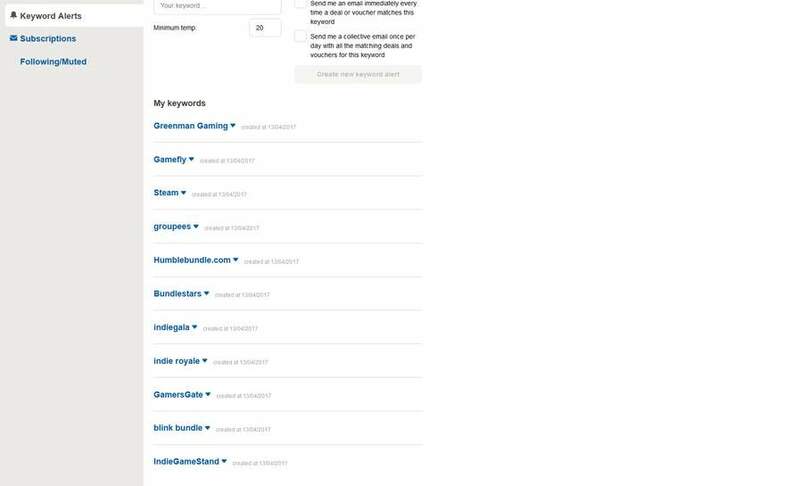 Infinite scrolling doesn't help when trying to access 'Feedback', etc, at the bottom of the page. Sometimes the page auto scrolls before I can click on 'Feedback'. I can 'like' my own posts. ​any way of adding if someone is suspended or banned on the app? 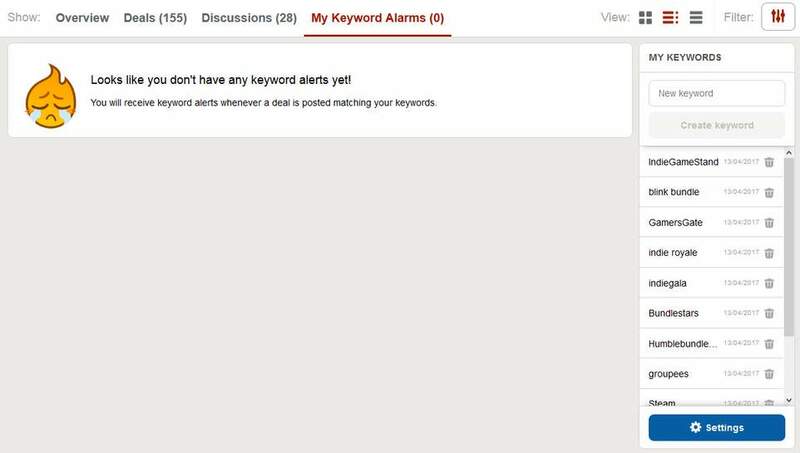 @juliet_bravo [ https://www.hotukdeals.com/profile/fanpages/settings#keywords ] <- If you can delete keywords from here, I cannot see it. Is that an oversight, or the intended functionality? @juliet_bravo [ https://www.hotukdeals.com/profile/fanpages/overview#activity ] <- Missing "hover" text when a mouse pointer is over the "Recent Badges". 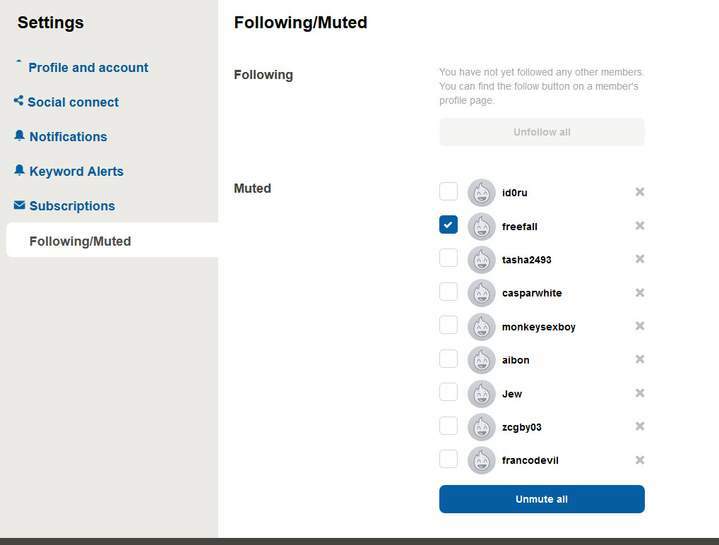 @juliet_bravo The selection of a single member to "unmute" should not really show [Unmute all] on the button; just [Unmute]. It is not clear if clicking that button will unmute everybody, or just the single selection. PS. Where is the "Preview" option during "Post a comment"? ^ PPS. Note how the "juliet_bravo" text is not a link following the "@" above (in comment # ... oh, I don't know which comment, because the numbers are not there... presumably due to infinite scrolling now). @juliet_bravo I can "Like" my own comments now! Will there be a viewable audit log of changes for a user (unless they have requested this information be kept private)? Will such a change ripple through all their previous comments and quoted comments, so that we do not have the (current) "feature" where a user may have changed their name, but previously posted quoted comments still display their previous name? 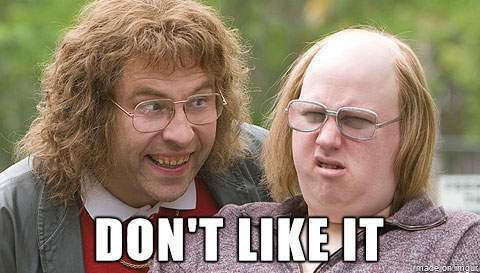 fanpages - I 'liked' then 'unliked' your post. Did you get a notification of both the 'like' and 'unlike'? fanpages - I 'liked' then 'unliked' your post. Did you get a notification …fanpages - I 'liked' then 'unliked' your post. Did you get a notification of both the 'like' and 'unlike'? Nope; I didn't receive either. 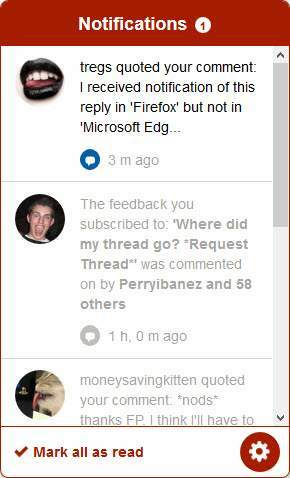 I received notification of this reply in 'Firefox' but not in 'Microsoft Edge'. This is "fixed" if you reload the page again; the previous pre-edited description returns when [Update description] is used. 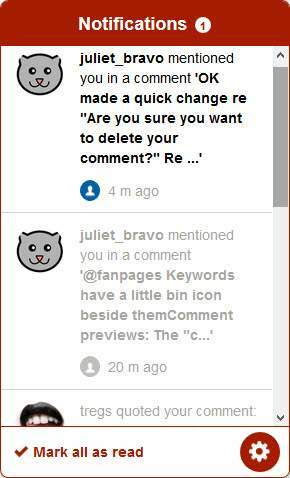 @juliet_bravo ^ It took three attempts to post my last comment (about "Your Description" changes). The initial submission reported the hotukdeals.com server was missing. The second one showed the Cloudflare " Error 504 Ray ID: 36087de26faa34e8 • 2017-05-17 18:03:53 UTC Gateway time-out " page. The third atempt was successful. @tregs click the "footer" button on the right to get to the footer. Good point re text only, leave those with me. I received notification of this reply in 'Firefox' but not in 'Microsoft …I received notification of this reply in 'Firefox' but not in 'Microsoft Edge'. OK made a quick change re "Are you sure you want to delete your comment?" Re username changes, previous usernames will not be visible to the public. 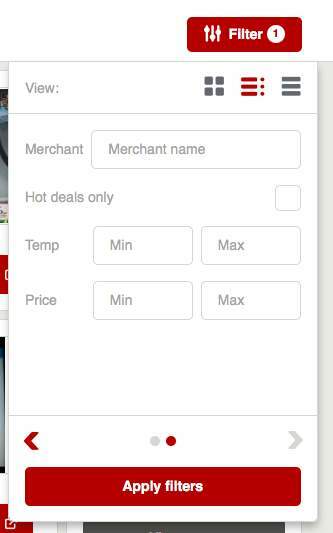 This is something that we permit on other "Pepper" platforms, however we do need to see how it works for hotukdeals. It may well be something we revoke. Yes. I see three reply Notifications, but not "Likes". I'm using Mozilla Firefox for Windows (53.0.2 / 64-bit), as I mentioned above.